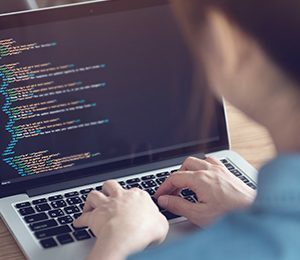 Web development is a high-growth career track, and UofT SCS Coding Boot Camp teaches you the specialized skills to tap into this rewarding industry. Through a fast-paced, immersive curriculum, you’ll learn the skills needed to become proficient in front-end and back-end technologies. Study part-time and maintain your work schedule, or launch your career sooner through our full-time program. Receive a certificate* of completion from the University of Toronto School of Continuing Studies* showcasing your accomplishments to future employers. Benefit from a wide range of career services: resume and social media support, technical interview preparation, portfolio or homework reviews, soft skills training, coaching, and more to help you launch or advance your career. As you embark on this 12- or 24-week journey, you’ll dive into a rigorous curriculum and learn more than you thought was possible. With an in-person classroom environment and collaboration with your classmates, you will get hands-on experience in full-stack web development. Learning to code is an intensive undertaking. If you are craving to expand your knowledge and join the tech world, seeking to advance or change careers, and (most importantly), ready to roll up your sleeves and put in the hard work…then our program could be right for you. Classes held Monday – Friday, 10 a.m. – 2:30 p.m. Contact an admissions officer at (647) 245-1020 or fill out the form below if you’re ready to learn more about UofT SCS Coding Boot Camp.